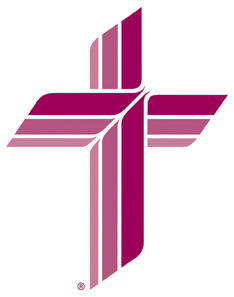 Faith Lutheran Church is a member congregation of the Lutheran Church - Missouri Synod and is located in Sturtevant, Racine County, Wisconsin. We have traditional services that follow the Lutheran Service Book and hold Bible Study and Sunday School classes. In association with Holy Cross Lutheran Church, Racine, we support Concordia Lutheran School (pre-K-8th) which is located at our address in Sturtevant. Faith Lutheran Church offers Vacation Bible Study during the summer to children, confirmation classes to youth and adult confirmation classes to those wanting to join the Lutheran Church - Missouri Synod (LCMS). We support various ministries through our offering of treasures and encourage donation of time and talent to assist the congregation in fulfilling our mission and supporting our ministries. Faith Lutheran Church is engaged in the lives of the members of our congregation and the members of our congregation engage themselves in the church. We welcome you to join us for worship services and look forward to seeing you soon. As a congregation in the Lutheran Church - Missouri Synod we know that our good acts and righteous works are for the benefit of those that are touched by them and will not earn us passage into Heaven. Only by the grace of the one true God and the loving sacrifice of our Lord and Savior Jesus Christ are we saved from our sins and through our faith and belief are we delivered to his Kingdom.